Contemporary poetry books are one of two sorts: they are part of the mass media po-biz  machine, soaked in processed agenda and dripping with carefully honed correct thought . . . or they are not. Either way, very few of them are actually what you would describe as delightful. And let’s face it—it’s nice to find something poetically delightful to read. 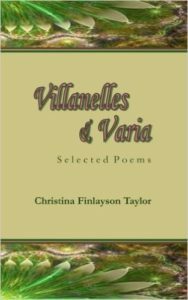 Which is only to be expected, of course, because as well as being an accomplished poet, Finlayson Taylor is the editor at Middle Island Press , specializing in poetry and poetic prose. She is also the co-owner of the private micro-press Red Salon  with her husband, Robert Taylor , himself an accomplished poet, artist, and lyricist, as well as legendary musician in the Neo-Folk band Changes and one of the key founders of the North American Asatru movement. 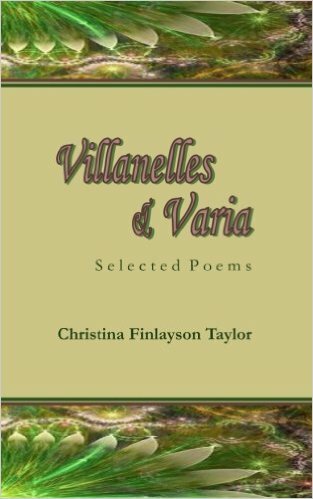 True to the book’s name, Finlayson Taylor’s poems span the poetic arc from Villanelles  (a French poetry form, constructed around repeating refrains — easy enough to do, assuming you know a thing or two about putting words on paper, but very difficult to do well; these are done well) through sonnets  and quatrains all the way to a few nonce  forms that rely on structure more than rhyme. Most of the pieces in the book are based on shorter forms — less than one page long, with a few hitting a page and a half. There are just enough of each of these to give a good overall balance to the book. Finlayson Taylor’s poetry is reminiscent (and, in my opinion, strikingly so) of the work done by the Cavalier poets , Herrick in particular.